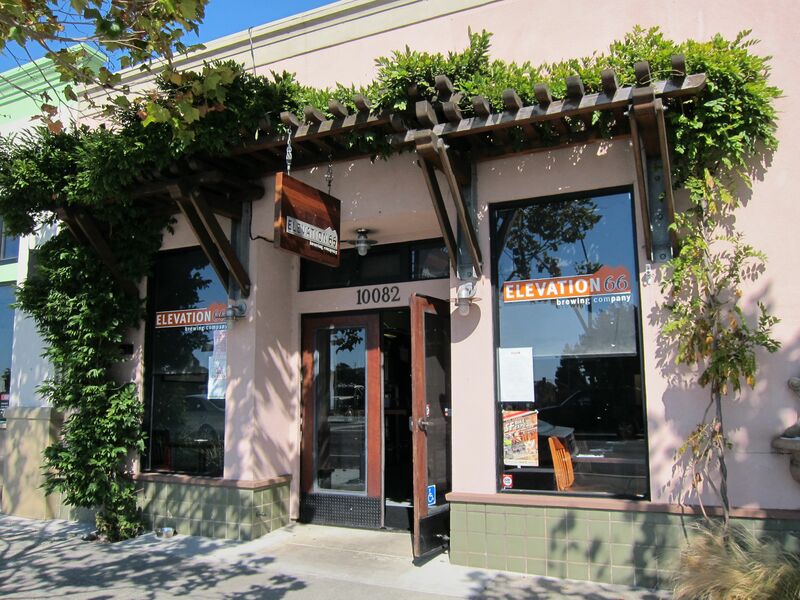 Elevation 66 Brewing Company is a small neighborhood brewpub in a re-vitalized section of El Cerrito. The city government was supportive and encouraging of the launch of their first local brewpub. The 7-barrel brewery will feature 6 house beers at full production and 6 guest beers. A small menu of apps, salads, entrees and desserts may be enjoyed at one of nine tables or at the bar. Extras: No reservations are needed for a brewery tour. All you have to do is sit at the bar and there it is. There is nothing but air between you and the tanks. It’s more of a brewery viewing. However, you will not see the brewers working their magic. Due to the location of the tanks, brewing must be done when the pub is closed. Located about .7 miles south on San Pablo Ave. is the Albany Taproom for a nice little craft beer crawl. Walk out of the BART station, and head right to Central Av. Turn left and walk 4 blocks to San Pablo Ave. Turn left and find the brewpub 2 doors down on the left. from BART to Elevation 66.